One week passed – so fast. The Christmas with Servas in Israel event, which took place on 22-29 December 2014, is over, and it left all of us with a taste of wanting more. 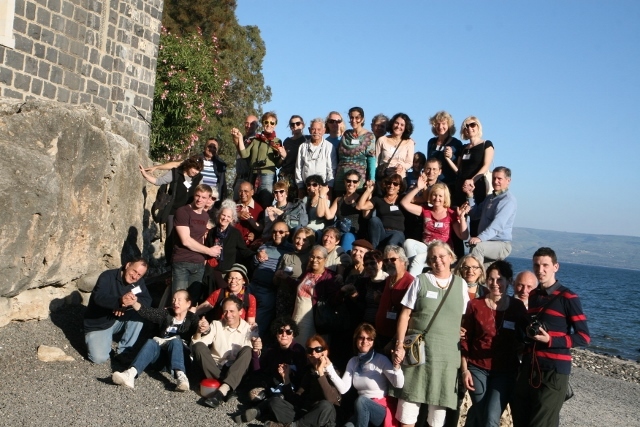 More than 30 Servas friends, from 11 countries met in Israel, traveled with Israeli hosts and joined guided tours in Christian sites in the Galilee and Jerusalem. A welcome meeting in <?xml:namespace prefix = "st1" ns = "urn:schemas-microsoft-com:office:smarttags" />Haifa opened the event and a farewell meeting closed it in Jerusalem. An atmosphere of intimacy and openness has emerged - friends wanted to talk and get to know each other – Servas spirit at its best. We wish to thank all of you for participating, for being patient with our logistics mistakes, for rushing you from site to site, from host to host, from host or hotel. We wanted to share our country and hosts with you. It has been a great and meaningful experience for us.